Working with this age group offers a different kind of fulfillment than the younger age groups. Coaching this team was not on my to-do list this summer. Coach Benny went to Italy for a month, Coach Venanzio took a job in Toronto and Coach Loris has a very young child at home. When Ben ask if I could fill in during his absence and be involved all year, I figured it would be a good time to do a different kind of coaching and, possibly, a final chance to coach my son Anthony. Who knows where he's playing next season. I give Coach Ben credit for running this team. Running a U17 soccer team is no picnic. I told Benny I wanted to use this chance to prepare these guys for the transition to men's and University/College level soccer and he was OK with that. I also used this oppurtunity to get me back in tune and ready to coach the college program. I was flattered that the boys were very receptive to what I wanted to do. I was a different voice and, at U17, that helps. In the beginning, I kept referring to how they could implement what we were doing to their high school play to help make it more applicable to them. We did run into some bumps in the road. Some boys did not have the technique required to be consistently successful at U17. For these boys, their athleticism kept them in the game to some degree but once their space was closed down it was a bit of a panic. We were able to sell to them that the better the shape, the more time and space you have. They've all been playing soccer since their were U5-U6. Two were late-comers , but both of these boys were athletic and very intelligent. Coach Loris was our most able-bodied coach and able to fully participate and guide play when we worked on positioning and other philosophies of play. He still plays at the Men's Premier level. One of our smarter and more technical players did not play until July as he had a broken wrist and then his father passed away. His return made the positive work done to that point even better. Our goalkeeper had a tender hamstring for most of the year. He was unable to effectively strike a ball off the ground and that caused us to adjust our shape, keeping a man hanging back. His commitment to keeping the ball out of our net was unforgettable, but he as unable to have balls played back to him or take goal kicks. he was also slow coming off his line 1v1. This made planning and organizing very interesting. One of our smarter midfield types had declared very, very early in tryouts that he was giving his hockey dream another shot and played summer hockey instead of soccer. Training sessions went well. Attendance varied between 10-16 players, depending on work commitments. The boys who were present worked hard and listened. They really enjoyed each others' company. If training wasn't ultra-enjoyable, they mentally checked out, and I was OK with that. Occasional hot heads, but not as bad as expected. Nobody quit for any reason. I am glad that the situation arose to work with this team. They were good, able-bodied boys and wanted to learn. Some needed to let go of old ideas/habits and trust us, and that came with time. It did get a bit hectic at times while Ben was gone, but nothing that put a halt to anything. He left the paperwork and reffing fees all sorted out so that made things a bit easier. If there was one thing I got better at was being on a staff where I was not the head coach. I think there is a skill-set there that needs to be developed. When all 4 coaches were present, I stepped back and watched, sometimes from the other side. Overall it was a positive experience for me. I thought my son would squash the idea of me coaching but he was good with it. I've always had good experiences coaching him, but he's U17, with his friends, and it's been a few years since I worked with him. I am not sure where these guys are with their thinking for next year. I am hoping that they all continue to play. Our last duty to perform is to drive to the League Awards presentations to collect our League Championship Medals. My first season with this men's program was nothing short of exhilarating. I am very excited about what might come of this. I went back to college soccer because I truly missed working with that age group. Being involved with them for a short period during this stage in their life is an honour and mission that I do not take lightly. Returning to Niagara College was a good thing. My reflection will cover several components of the program. 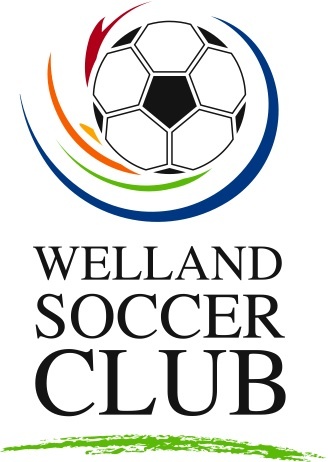 We trained and played at the Welland Soccer Club. The field at the college is in a state of flux in terms of it's status as it being a part of the "big picture" in terms of the college property. Having a field on campus would be a HUGE bonus for our program and student life in general. The Welland Soccer Club fields are very good and I am very comfortable there, but if we were to move back to school, it would be a positive step. The college is definitely behind the soccer program. Setting up the soccer field for game day, off campus, is a chore in itself. Sending the Athletic Therapist over to the off-campus setup every session is another demonstration of support that we value. The school's newspaper, TV and radio crew have given the program exposure which is always a wonderful thing. Was it 100% perfect? We are a soccer program, in Canada, and my reality check starts there, but I can't be upset about anything. I was ecstatic when the college decided to start outdoor soccer a few years ago and happy to be able to coach there. I did not have any negative situations arise this season. Our main point of contact , Ray, is still there and he knows the OCAA environment better than anybody. We have an enthusiastic new Manager of Athletics and Recreation, Matthew, and a departure of one of our support guys, Kerby, so they had their own changing situation to deal with around the gym. Athletics has also been moved on the organizational chart, sideways and upwards, so we will have to wait and see how that plays out. Next year I need to press our players to be smarter with how they use the support available to them. Several had injuries this season and did not use our Athletic Therapist to her potential. Several admitted to struggling with a course somewhere yet did not keep the conversation alive when I brought up the academic support available to them. This is something I need to follow up with now that the season is over and make sure they all make it to next year without academic penalties. With a fitness centre at both campuses I am going to meet with them soon to discuss off season preparations. In a nutshell, in terms of support and facilities, we had everything we needed, plus a few extras, and that makes everything easier. We had one head coach, one regular assistant, one part time assistant and a goalkeeping coach. The four of us have been familiar with each other for a long, long time. I was careful as to who I asked to join in. I don't like "yes" men and none of them were. Luciano, our main assistant has great playing experience and a good soccer brain. Luch jumped into his role very comfortably and his involvement proved to be a great asset. Rino and I have coached together on 12 separate occasions, we have good chemistry and he is very honest when we have discussions. Rino came when he could and it was a big boost for me to get him on board. He knows how I think and I keep his possible opinion in mind when I think things through. Gerry, our goalkeeping coach, served both men's and women's soccer this year. Gerry is an experienced GK who has been exposed to some high level environments in his day. My philosophy of goalkeepers and Gerry's teachings are fairly consistent. If Gerry feels my thinking could be improved he tells me with full explanations and he is always ready to offer advice when I am planning ahead. I know our goalkeepers enjoyed his work. This year I also used a manager for the first time, Sebastian. Sebastian took care of our uniforms and captured every game on video. Before he hurt his Achilles tendon, he also worked with our goalkeepers, offering repetitions of shots and crosses for them in Gerry's absence. He was great to have around and set a good standard for the future. I had to make sure our coaching staff would be liked by the players, credible and understand who we were dealing with. I had the 1v1 conversations with the players when it came to dressing, playing time, etc and they proved to be helpful in offering guidance/opinions to me and helping players along in their own development. My personal action plan is to focus on how to use our assistants better during training. Luch and Rino have a lot to share and I need to set up training to allow that to happen. The players we had this year were a best-case scenario for somebody coming into a program for the first time. They got along, worked hard, supported each other and became friends away from soccer. Training sessions had good attendance and the work rate was high. The experienced players were buying into what we were doing and the younger players came to learn. Every game had players who didn't dress and they kept coming to training. If there was one thing we lacked for a first year was the benefit of "returning" players. 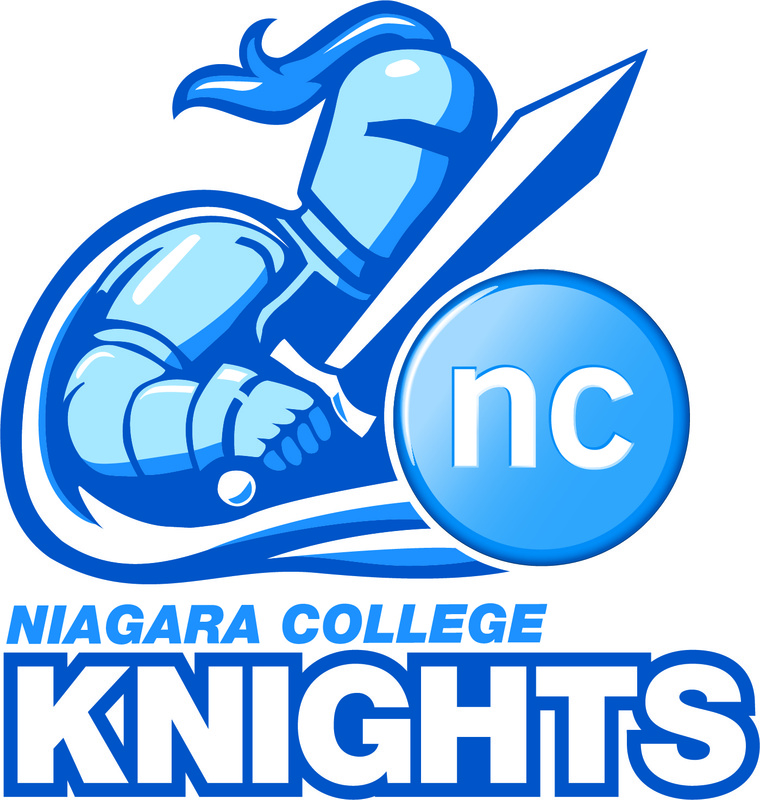 We had 6 players who played for Niagara last year, but we were implementing a system and philosophy that they weren't familiar with so it was like starting from the beginning, which we were. This was my challenge. My friends coached this team for the few years prior so I got to watch who they were playing against and listening to them. I did not feel we would succeed, long term, by starting over every season and I needed players to come back and hit the road running and be the stability around which the new players would work their way into the group. Starting over might provide the occasional season of brilliance, but I wanted consistent success. We implemented was an attacking 4-3-3. I wanted to do this because it's easier to move players in and out and it's an easy system to learn. At this level, you have to deal with the realities of school, injuries and suspensions. In total, 24 players dressed for us and very rarely did we make a change that set us backward in our momentum. We have 13 players who are stronger than the rest, but the entire group was prepared to produce. I hope returning players envision what their experience will be like based on this past season and see themselves succeeding in their positions before we assemble for our first tryout. That is the importance of returning experienced players. My intention is to open camp in August and pick up where we left off this season. I wasn't sure what to expect for the first season. A new system, players moving in and out and no true "returning" players in terms of knowing the system early on. Except for our final game, we were not over-matched in any league game. It's a good league, everybody is strong and I felt we truly belonged. Not securing an early win made it more difficult as each game passed. I felt we were organized for the most part and created our fair share of chances every game. We hit the occasional road bump early on in our shape, but those were quickly healed. There were occasions of impatience by individuals, motivating them to drift towards the ball but nothing to the extent of truly hurting us. The season is short and unforgiving. We don't have time to massage things into place game after game. We now have a core group of returning players who know the system and the intensity level required to succeed. I re-watched the video after every game and added to my own experience with this league. For 2013 we have discussed various changes to getting things going. We definitely need at least one more pre-season game before competition starts. We need to tighten up tryouts and assemble the formal squad a lot earlier. I was caught a bit off guard by having 67 players show up for tryouts. We had some good players show up late after school started, but I didn't add anybody after the third match. I am not sure how I will handle that next year and will defintiely seek Luch and Rino's thoughts on that. I will not assume the players are fit because they played during the summer. We had a busy enough training schedule. I stayed away from weekend training but that may not be an option if we move back to school next year (no lights). I felt our communication level with the players was honest and we had no real problems with that. I do need to give more information to the players who are not dressing and playing as much. They would definitely appreciate information on how they can compete for spots on the field. We had some yellow card trouble this season. I don't mind cautions for hard tackles, but the rest is controllable. We definitely need time in the classroom watching one of our games and picking it apart, good and bad. We did not do that this season. We watched a game on the bus, but that's distracted. I found this league to be "run and gun" and not very patient. But patience always won over when it did show it's face. 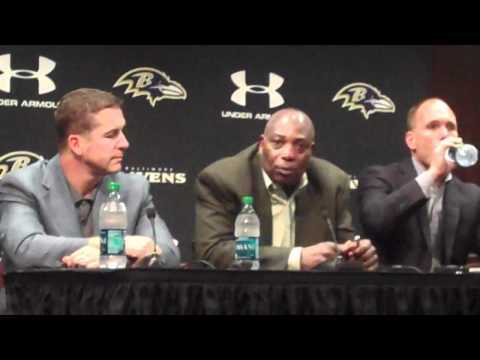 I will have to consider how we will adjust the on-field product with that in mind. We have the returning players to do it. We have a much better idea for the type of athlete we are looking for to compete in the college league. I have no doubt the coaches will rehash this season a hundred times before we open tryouts again, and that's a good thing. We need more female coaches and referees. Women have a very important role to play in the development of any sport. Especially when it comes to female teams and elite athletes. Where do all these women go? Why don't they coach or officiate? Before you simplify the answer, there is a lot to consider. I found a great Q&A Fact site at the Coaching Association of Canada website on this page here. I also found a good article at time.com . The odd thing is that female participation at the higher levels is increasing, and the percentage of female coaches is decreasing. As more coaching jobs become higher profile and more lucrative on the female side, men are migrating there for a piece of the action. If young female athletes don't see female coaches and referees, how will they ever envision themselves performing those duties as adults? Wanting females to coach should not be thought of as politically correct, it should be thought of as a smart move for any organization. If females form 50% of the athletic population, that a tremendous waste of resources if they walk away. The first thing to alter is the environment. Right now a woman coaching is doing so in a man's world. Sport scheduling and formats revolve around a man's world. Female clubs need to encourage/mandate a qualified female coach (head or assistant) and a female manager/trainer on the bench . This gets their input, builds experience and provides role models for the players. 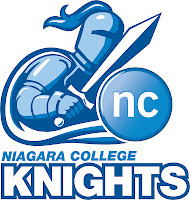 I coached Niagara College's Women's team 2008-2010. During that time, I felt 10-12 of those players would have made excellent coaches. Some have started coaching, but I wonder how many will follow through and stick with it. More and more organizations are providing programs for women to get into coaching. But we need to set the system up to keep them long term.